Broccoli is the poster child for healthy veggies costing only about 25 cents a serving yet many find the slightly bitter taste a hurdle to overcome. 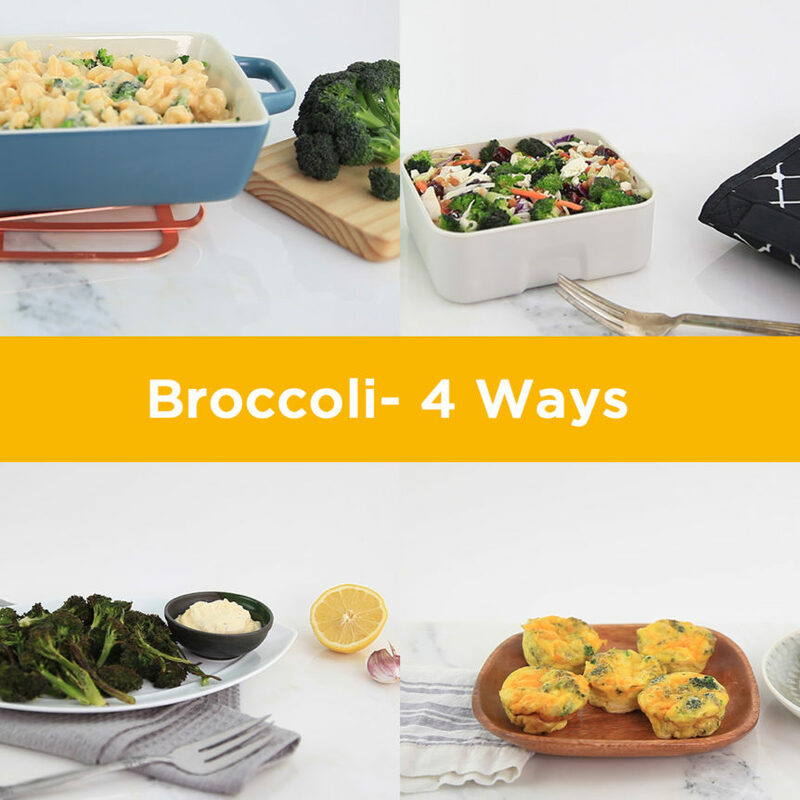 So let’s find some ways to cut through the bitterness and, even better, introduce some oh-so-easy ways to love broccoli. 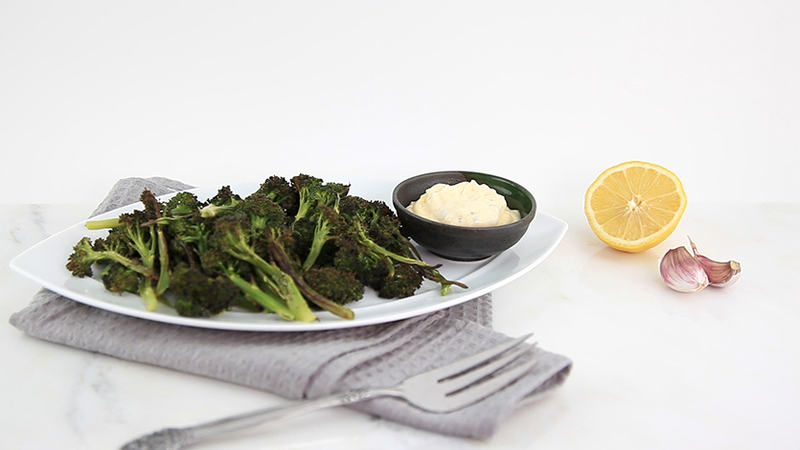 Roasted broccoli with lemon aioli anyone?! Recently, I got this tip from a lady at the grocery store who was eyeing my broccoli-filled cart (hey, I was recipe testing! ), “I never much cared for broccoli until I tried it roasted”. She’s on to something. Roasting dials down bitterness and dials up sweetness while the slightly charred bits adds crispy goodness. Can you tell it’s one of my favourite ways to eat broccoli?! You can also cook with a little salt, add a dip or some grated cheese to tone down the bitterness of broccoli– easy right? And the best way to avoid those pungent aromas (from overcooking) is to steam to tender crisp, no more. Bonus, you’ll retain more vitamin C too! What about broccoli’s health perks? It’s not just the vibrant green buds that burst with vitamins C, A, K, folate, fill-you-up fibre and antioxidants plus protect against 5 types of cancer and heart disease, the stalks and leaves are also nutritious and low in calories. So trim, peel and chop those stems. Toss them in a salad, stock or stir fry. It’s a simple way to curb waste and make your food dollar go farther too. 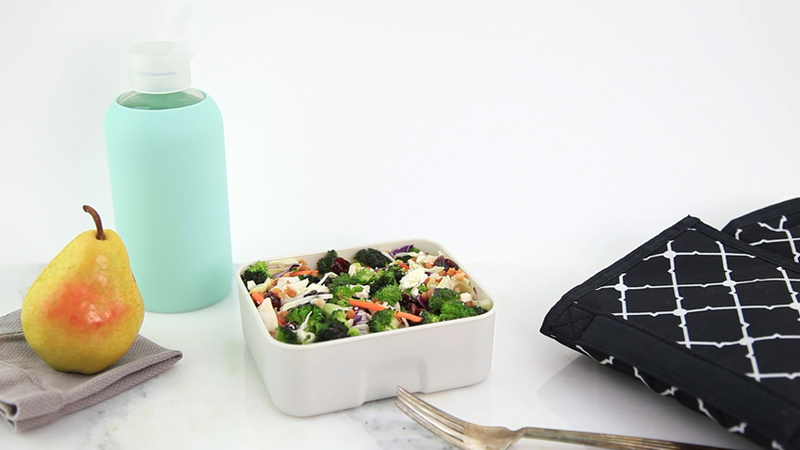 When you are in a pinch for time, ready-to-use broccoli florets and salad blends are handy options. The brand companies often have great recipes on their websites too. Let’s get cooking with broccoli! 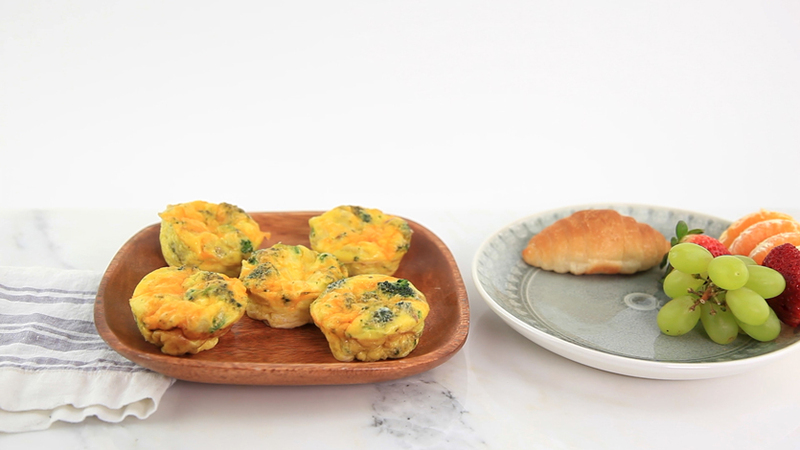 Make these ahead on the weekend and breeze through weekday mornings. Check out the freezer-friendly tip included with the recipe. Salty feta, sweet cranberries and crunchy veggies makes for a super main dish salad. Use canned lentils and bagged coleslaw and you’ll have this ready in a pinch. 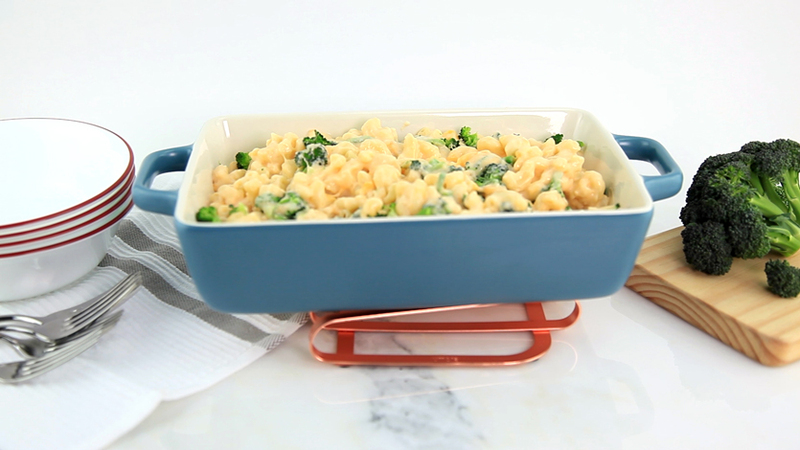 Broccoli mac and cheese is a winning combo but there are many more! Check out the other 7 variations listed with the recipe. If raw broccoli and dip is not your thing, I promise this will be. Did you know? The fat in the aioli helps you to absorb vitamins A and K from the broccoli? Check out the other tasty ideas listed for using leftover aioli. I sure hope I’ve sparked a new idea for enjoying broccoli. Kindly share your ideas here too.